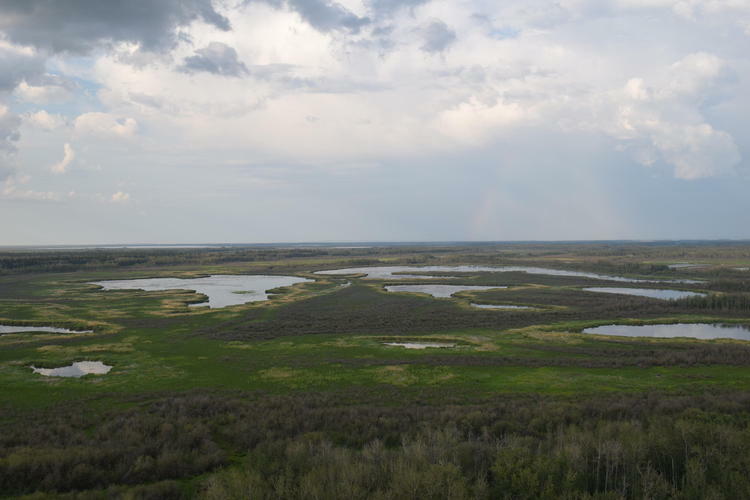 Located in northeast Alberta, the Peace-Athabasca Delta (PAD) is one of the most magnificent wetlands in the world. Serving as the junction of four major North American waterfowl migratory routes, millions of ducks and geese descend to feed and nest here each summer. Mitchell Kay, PhD candidate in the Department of Biology, is determined to preserve these watersheds. As a Collaborative Water Program graduate, He is working to understand how major energy projects are altering the hydrological conditions of lakes in the PAD, and if oil sands development has altered the deposition of contaminants of concern via the Athabasca River. Mitchell Kay being interviewed by Parks Canada for a documentary about Wood Buffalo National Park. Supervised by Water Institute member Roland Hall and Wilfrid Laurier University professor Brent Wolfe, Kay is using the information preserved in sediment cores to create long-term records of past variations in hydrology and contaminant deposition to construct baseline conditions before industrial development, and evaluate the effects of major energy projects on the PAD. This research will help to fill current knowledge gaps and understand the impacts of industrial development. As a graduate of the Collaborative Water Program, Kay understands how important interdisciplinary teams can be to solving complex water problems, and has tried to incorporate them into his research by engaging with local First Nation communities, government agencies and other water professionals. 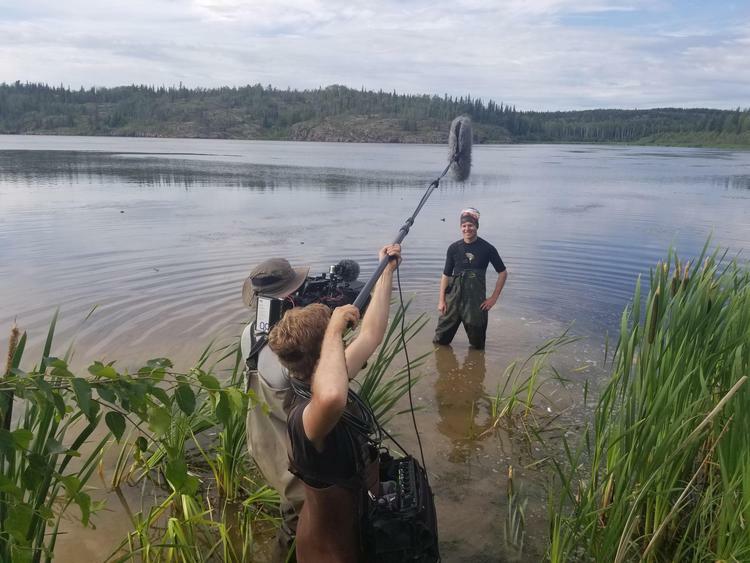 You can learn more about Kay’s research in a Parks Canada documentary about Wood Buffalo National Park that will be released Fall 2019.